God never changes, but He is a changer. Because God never changes, you can trust His flawless character; because He is a changer, you can trust His creative hand. He changes darkness into light, deserts into waterways, water into wine, mountains into low places, wastelands into grain fields, death into life, ashes into beauty, mourning into joy, and rough places into smooth paths. There is a process for purifying wine that is referred to in the Old Testament. We are told that wine was poured into a vessel and then left to sit for a season. During this time the impurities within the wine would settle to the bottom of the vessel. After this, the wine was poured from a vessel to vessel so that the purifying process could continue, and the wine could become more fragrant and sweeter to the taste. Like the wine, our lives are poured from vessel to vessel. God pours us into His appointed vessels. This pouring often involves times of heart change. This pouring also keeps us from becoming stale and stagnant. When God brings change it means that He is moving us out of something that has been comfortable and into something new that will cause our faith to grow, our hearts to be purified, and our vision to be broadened. What are the heart changes God is bringing into your life? He may be pouring you into a new relationship, into a new line of work, into a new ministry, or into a new location. He may be bringing a new truth to your heart, allowing you to see a certain circumstance in a new way, imparting a new spiritual gift, opening up a new avenue of obedience, or setting you aside for a time of rest and refreshing. 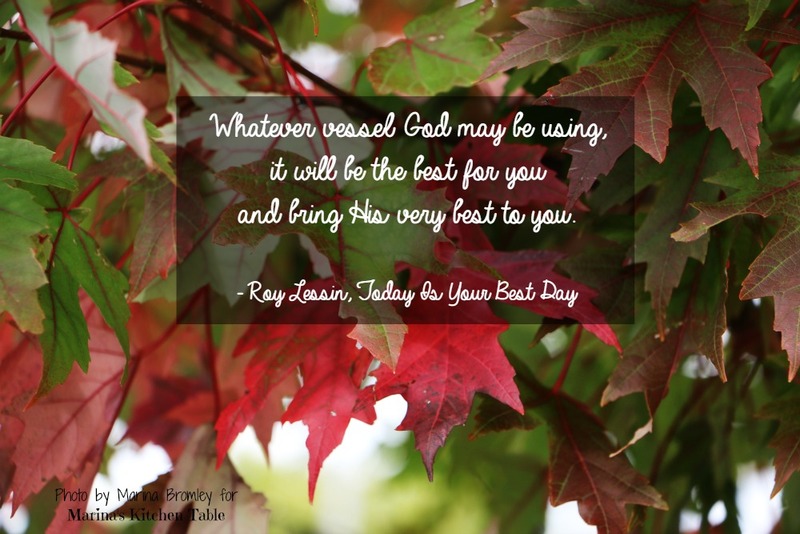 Whatever vessel God may be using, it will be the best for you and bring His very best to you.